Horticulture - Loyal FFA/Agriculture Education Dept. PS1.a.7.h: Classify agricultural plants according to the hierarchical classification system, life cycles, plant use and as monocotyledons or dicotyledons. 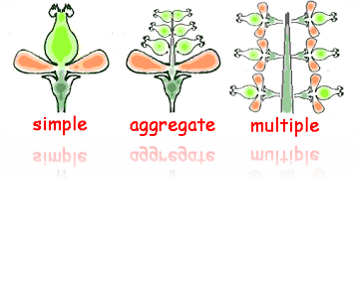 PS1.a.8.h: Describe the morphological characteristics used to identify agricultural plants. PS1.a.9.h: Identify agriculturally important plants by scientific names. 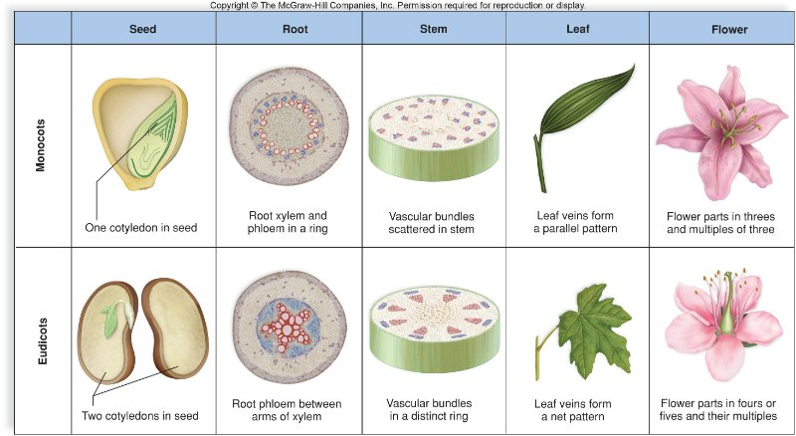 PS1.b.10.h: Identify root tissues and explain the pathway of water and nutrients into and through the root tissues. PS1.b.11.h: Relate the active and passive transport of minerals into and through the vascular system to plant nutrition. PS1.b.13.h: Explain how leaves capture light energy and allow for the exchange of gases. PS1.c.5.h. : Explain the light-dependent and light-independent reactions that occur during photosynthesis and apply the knowledge to plant management. PS1.b.14.h: Identify the different types of flowers and flower forms and apply the knowledge of flower structures to plant breeding, production and use. PS1.c.6.h: Explain cellular respiration and its importance to plant life. 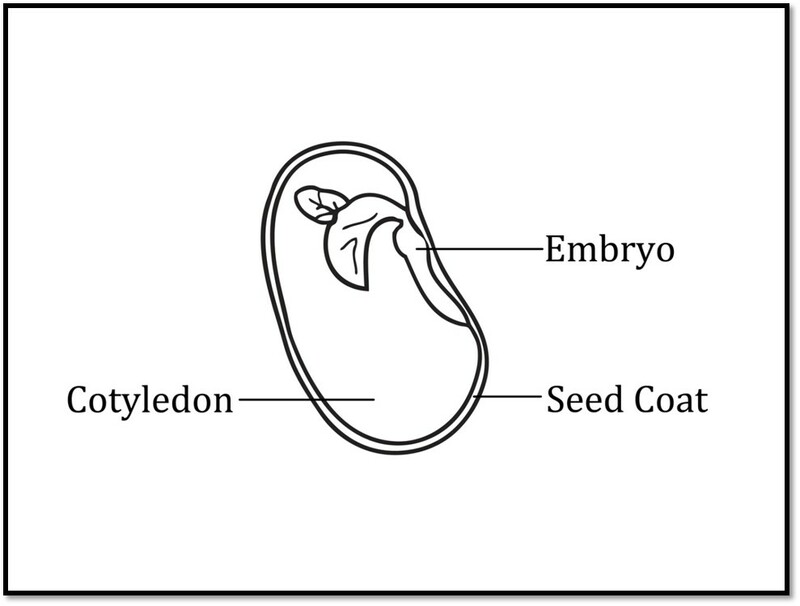 PS1.b.15.h: Apply the knowledge of seed and fruit structures to plant culture and use. PS3.a.10.h: Evaluate asexual propagation practices based on productivity and efficiency. PS3.a.11.h: Define micropropagation, discuss advantages associated with the practice and outline the four main stages of the process. PS2.a.6.h: Describe plant responses to light color, intensity, and duration. PS2.a.8.h: Design, implement and evaluate a plan to maintain optimal conditions from growth. PS2.b.5.h: Describe the physical characteristics of growing media and explain the influence they have on plant growth. PS2.b.6.h: Formulate and prepare growing media for specific plants or crops. PS3.a.14.h: Evaluate the performance of genetically modified crops. PS1.d.5.h: Define primary growth and the role of the apical meristem. PS1.d.6.h: Explain the process of secondary plant growth. PS1.d.8.h: Identify the five groups of naturally occurring plant hormones and synthetic plant growth regulators. PS1.d.10.h: Select plant growth regulators to produce desired responses from plants. PS2.c.7.h: Describe nutrient deficiency symptoms, recognize environmental causes of nutrient deficiencies and prepare a scouting report. PS3.c.9.h: Describe pest control strategies associated with integrated pest management. PS3.c.6.m: Describe damage caused by plant pests and diseases. PS4.a.5.h: Explain design elements of line, form, texture and color and express the visual effect each has on the viewer. PS4.a.7.h: Discuss principles of design that form the basis of artistic impression. PS4.a.8.h: Create and implement designs by following established principles of art.